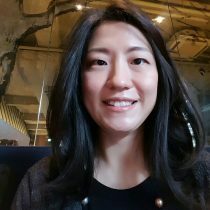 Dr. Jen Kim previously taught K-12 music for 10 years and was fortunate to work with students from various backgrounds and diverse cultures during her international school teacher career. She was committed to academic and musical excellence with a desire to inspire young students to love music. As an advocate for teaching music through student performance (band, choir, and orchestra), she has a passion for creating meaningful experiences in the music classroom, sincerely hoping everyone becomes a life-long musician. Kim holds a Bachelor’s Degree in Music Education and Piano Performance from Trinity Western University in British Columbia, Canada, a Master’s Degree in Music Education with Choral Conducting Emphasis from Colorado State University, and a Ph.D in Music Education from the University of Arizona. Her research is specialized in pre-services music teacher training.